Today's salads are a long way away from the tired greens and hard-boiled eggs or dull tuna mixes that the word used to mean. In the modern mix, fresh, vibrant leaves, and substantial legumes and grains such as quinoa, farro, and wild rice are joined by nuts and seeds, roasted vegetables, and every kind of meat, cheese and spicy beancurd, and topped off by dressings as sumptuous or as spartan as you want them to be. The choice is yours, and there are 10,000 to be made. 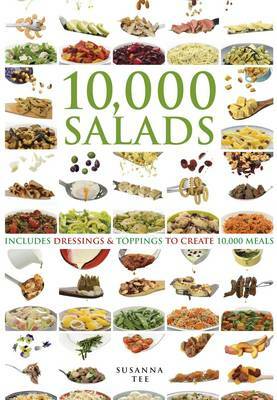 You'll find that every day is salad day with this great little mix and match guide.